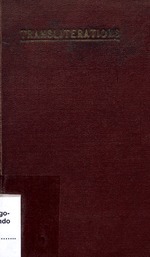 Printed on verso of t.p. : "Sent out with apologies and gratitude to the Rev. & Mrs John Whitehead, BMS, from whom permission has been sought to reprint their valuable book ... with certain alterations in the orthography... E.A. and L. Ruskin, Congo Balolo Mission, Bongandanga, 1926." that it may prove helpfnl to ail missionaries who use it. E. A. and L. Ruskin. Aniam	Aniam a	Aniham :/. Riblah	Libela	Ri b la.